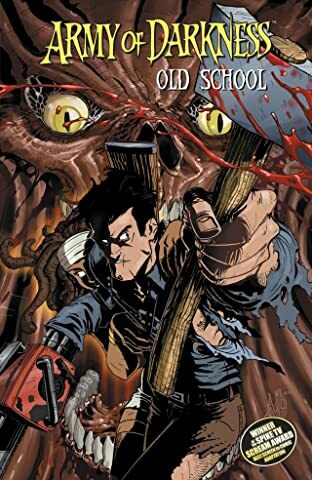 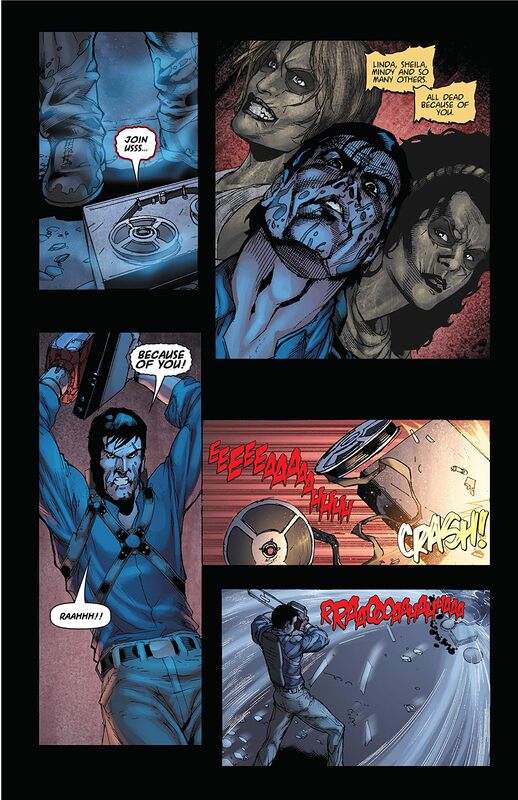 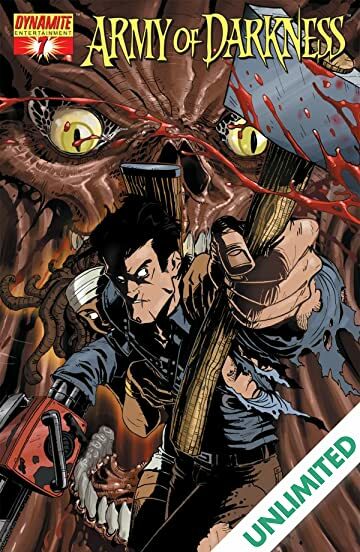 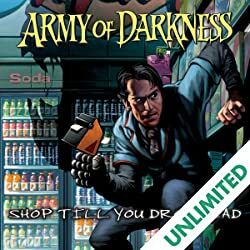 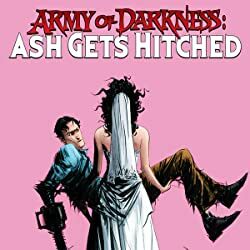 Concluding the "Old School" look at the Army of Darkness, as well as the bridge to the next exciting AOD story arc from Kuhoric, Sharpe, and an all-star gathering of great cover artists! 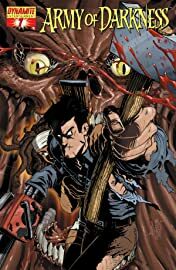 The Rami-esque inspired "grueling horror" arc comes to a bloody conclusion! 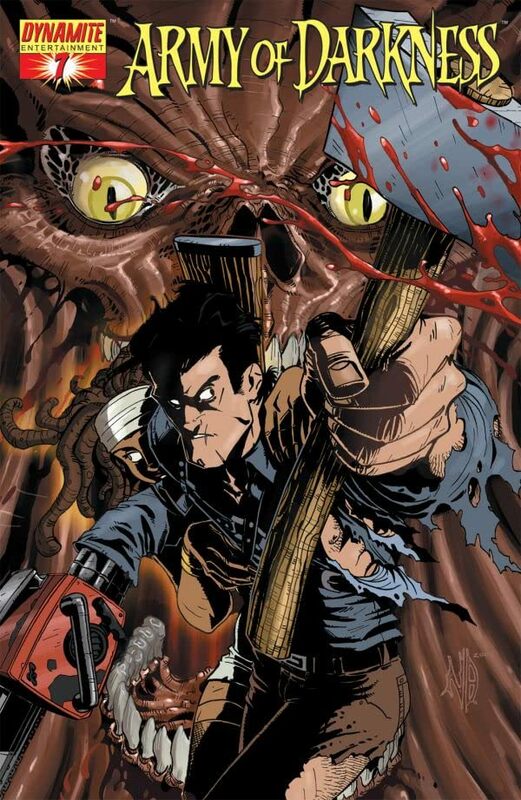 Something dark has been awakened at the old cabin in the woods, and it hungers for the flesh of the Chosen One! 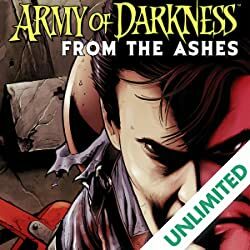 Inside the Deadite-infested hovel, Ash fights for his very soul and to destroy the tie that binds the creatures to this world. 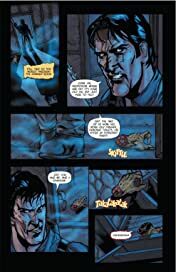 Amidst the maelstrom, Ash clings to life as the possessed spirit of Sheila reveals the truth about her lost soul and the very origin of the Deadites. And Ash is slated to take on the King of Vampires - Dracula! 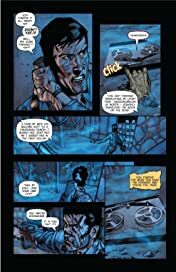 This issue features variant covers by Sharpe, Azaceta, O'Hare, and Bradshaw, to be shipped in an equal ratio.